In a short-but-sweet blog post, Skype has announced that its iPhone App has surpassed the million mark. Considering it was only launched this week, the news is a bit of a coup for the Baltic company. "In less than two days, Skype for iPhone has been downloaded more than one million times – around six downloads every second," states Peter Parkes from Skype's blog. "This is a phenomenal performance, and we're confident that it's one of the fastest-downloaded iPhone apps ever. We'll be back next week with an update, but for now, Skype on." The Skype app allows iPhone users to make free or subsidised phone calls when used in a Wi-Fi spot. It also works on the latest additions of the iPod touch, effectively turning Apple's PMP into a phone. 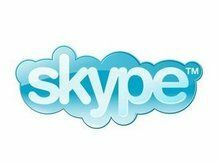 While there was some trepidation between the phone companies and Skype about the app, O2 has accepted that it is something that iPhone users want, as the company explained prior to its release to the Times: "We understand [Skype] have designed this to work solely over Wi-fi. "We have not blocked the application and, if it is available in the App Store, it will be available to our customers." Skype is available to download now from the Apple App Store.